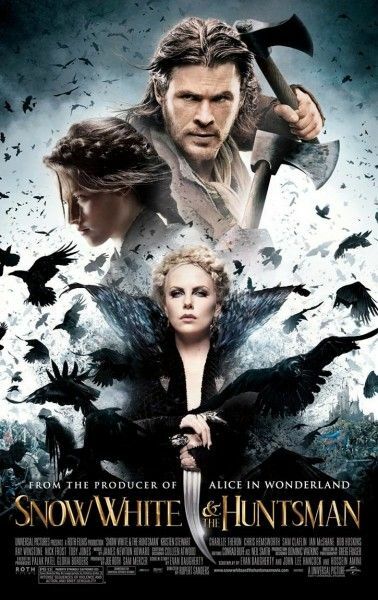 Though many were beleaguered by the fact that two Snow White movies were slated to open in 2012, the first trailer for Snow White and the Huntsman clued us in that director Rupert Sanders had crafted a very different take on the Snow White story than most were expecting. The dark and epic iteration of the famous fairy tale landed on our list of the most anticipated films of the year, and the impressive cast of Charlize Theron, Chris Hemsworth, and Kristen Stewart only adds to the film’s appeal. 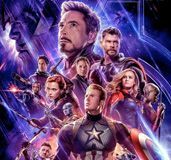 I recently got the chance to speak with Hemsworth about the film alongside a small group of journalists via a Google+ Hangout video interview while the actor was in London doing press. Hemsworth talked about pulling from Harrison Ford’s performances as Indiana Jones and Han Solo for the Huntsman character, what drew him to the project, being punched by co-star Stewart, the success of The Avengers and much more. He also talked a bit about a rumored sequel/prequel/spinoff for his Huntsman character that may or may not come to fruition. Hit the jump to watch the interview. 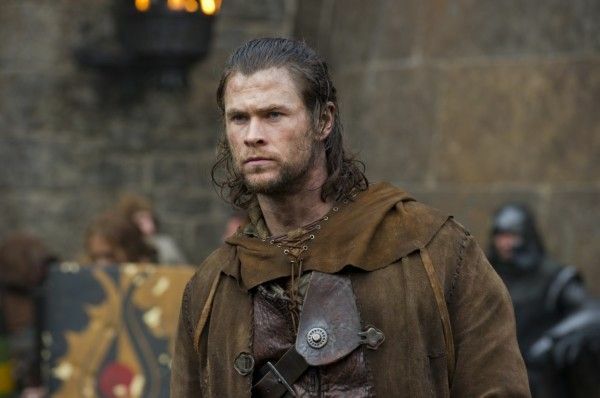 We recently learned that David Koepp had entered talks to write a follow-up to Snow White and the Huntsman, but there was no confirmation as to whether it would be a spinoff focusing on Hemsworth’s character or a continuation of the story started in SWATH. 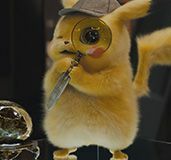 Hopefully we’ll have a better idea of where things could go once we see the film. Here’s the full video interview with Hemsworth, followed by a handy time index that breaks down the topics of conversation. 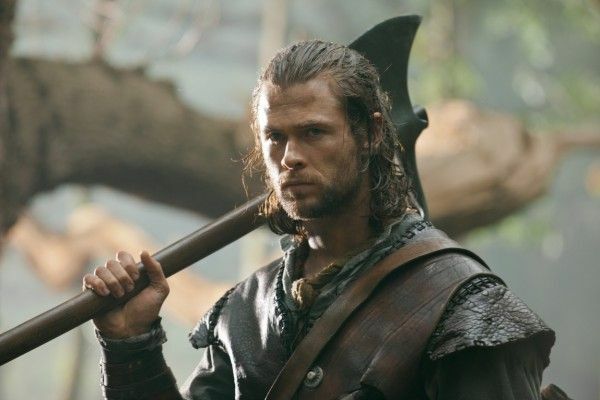 Snow White and the Huntsman opens June 1.
:32 The influences he pulled from for his character. Says they discussed a Western quality to the character and talked about Harrison Ford in Indiana Jones and Star Wars. 1:19 What drew him to the project. Says he wasn’t initially interested because he thought it would be too similar to Thor, but once he read the script he realized it had a Gladiator and Lord of the Rings vibe. Talks about being won over by Sanders’ sizzle reel. 2:34 How the battle and fighting scenes differ from Thor. Says they incorporated samurai and a lot of fighting on horseback. 3:29 Talks about shooting a lot on location and being in the thick of it. 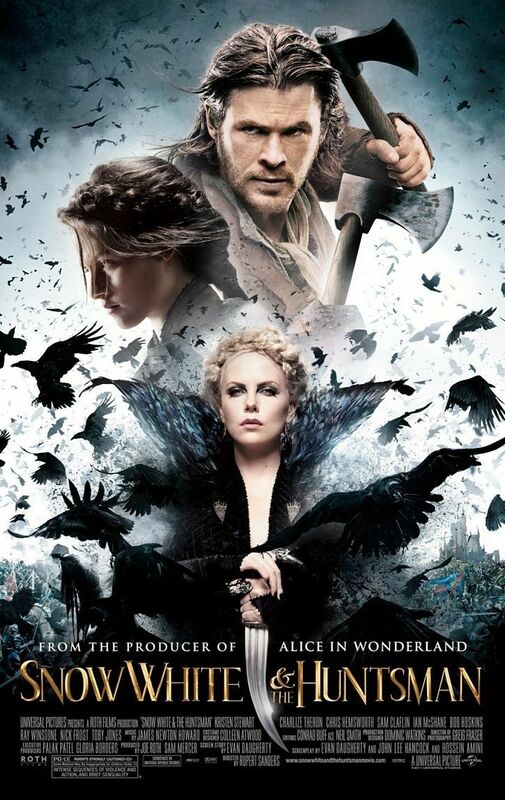 4:34 How Snow White and the Huntsman differs from the previous fairy tale. 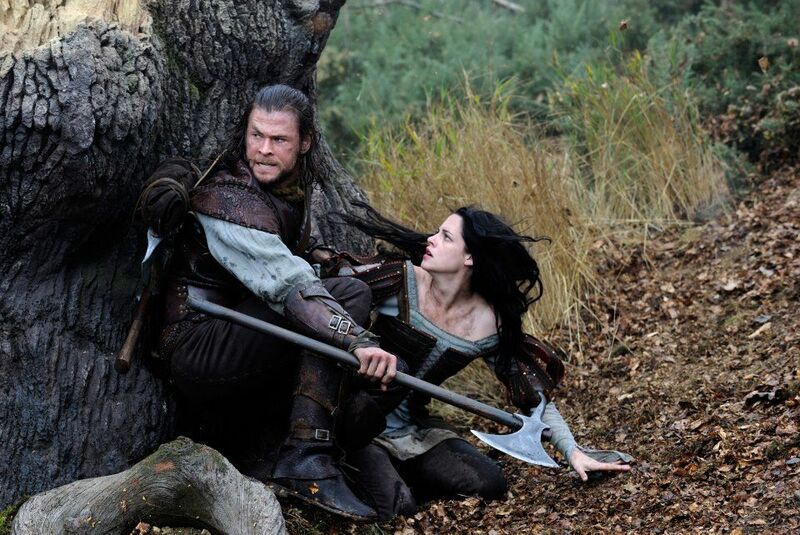 Talks about the relationship between Snow White and the Huntsman. 6:07 Differentiating the Huntsman character from previous incarnations. Talks about changing the accent up. 7:17 Tells the story of how Kristen Stewart punched him in the face and her apology. 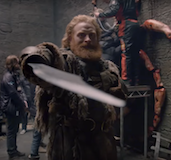 8:02 Talks about how they filmed the scenes with the dwarves, using a combination of camera tricks and greenscreen. 9:28 Developing the look for his character. Says they tooled around with using blackened teeth, but they decided against it when they realized they had to do a romance story. 10:55 Whom his romance in the film is with. 13:14 Talks about the insane success of The Avengers. 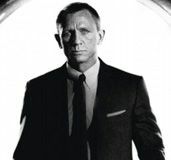 14:01 Whether the film is still accessible to younger audiences given that their version is a bit darker. Talks about the crossover appeal for both males and females. 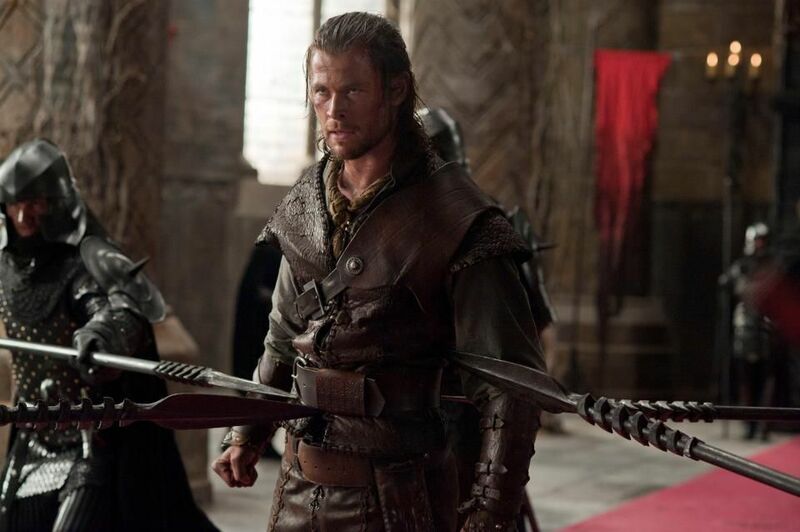 15:14 Which character had the best weapons, Thor or the Huntsman. 16:20 Embracing the fantastical elements of the story while still being grounded and maintaining a bit of darkness. Compares the film to Game of Thrones. 17:36 If he was read fairy tales as a kid. Talks about his love of fantasy novels. 18:48 Why he thinks fantasy films are so popular right now. 20:17 Talks about appearing in so many sci-fi/fantasy films and what’s important to him in those kinds of movies. Cites working on Star Trek as a good example of putting character first. 21:58 The comedic aspect of the film. 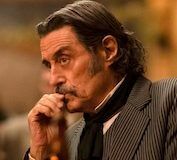 Says he thinks comedy is important in these big films, like The Avengers, but most of the humor in Snow White and the Huntsman comes from the “drunken criminals” band of dwarves. 23:30 Talks about getting sick from doing scenes in the mud and standing water.